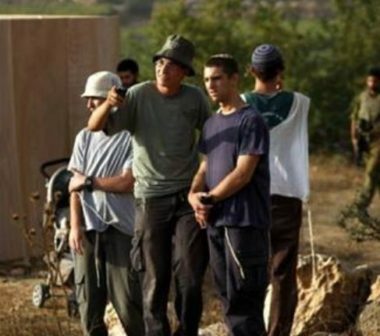 A group of illegal Israeli colonialist settlers attacked, Thursday, Orif Secondary School, in Orif village, south of Nablus, in northern West Bank. Adel al-‘Amer, the secretary of Orif Village Council, told the Palestinian News & Info Agency (WAFA) that the colonists attacked the school just as the students were leaving it. He added that the attack was the second this week alone, and that Israeli soldiers started firing gas bombs and rubber-coated steel bullets at the students, instead of removing the colonists. Al-‘Amer stated said that the assailants also attacked Palestinian homes near the school, leading to protests.